CooksRecipes has quality, kitchen-tested recipes for chicken dishes from Latin American countries, like Brazil, Cuba and Peru, that you can count on for successful deliciousness. 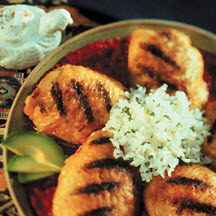 Grilled chicken thighs, seasoned with ground coriander and cayenne pepper, are served on a bed of rice topped with a tantalizing tomato-cilantro sauce. 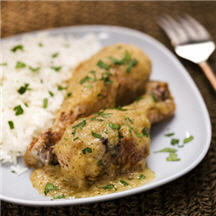 A flavorful and economical dish made with chicken drumsticks simmered in a perfectly seasoned citrus sauce. 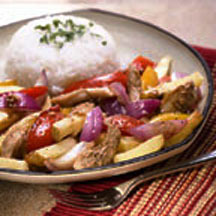 This Peruvian chicken dish is so full of flavor it may become your favorite stir-fry! A delicious marinade teams up with colorful peppers, tomatoes and red onions.